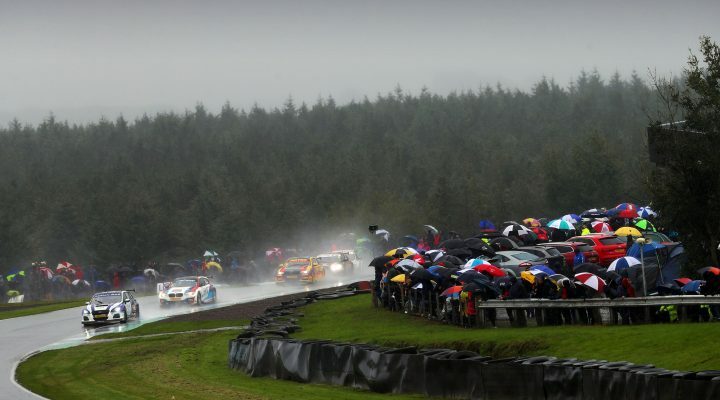 Adrian Flux Subaru Racing’s Ashley Sutton and Speedworks Motorsport’s Tom Ingram, who finished first and second on the road respectively in Round 23 of the 2018 Dunlop MSA British Touring Car Championship, have been excluded after both cars failed a post-race ride height check. 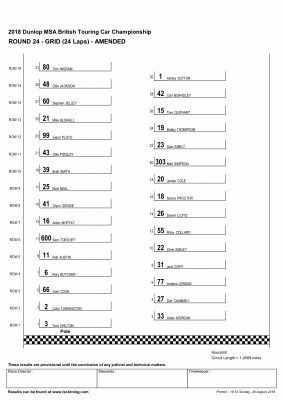 Both will start from the rear of the grid for Round 24 later today but will carry success ballast matching their on the road position. As a result BMW Pirtek Racing’s Andrew Jordan inherits the race victory in Round 23. Jordan becomes a record-equalling 13th race winner so far this season. 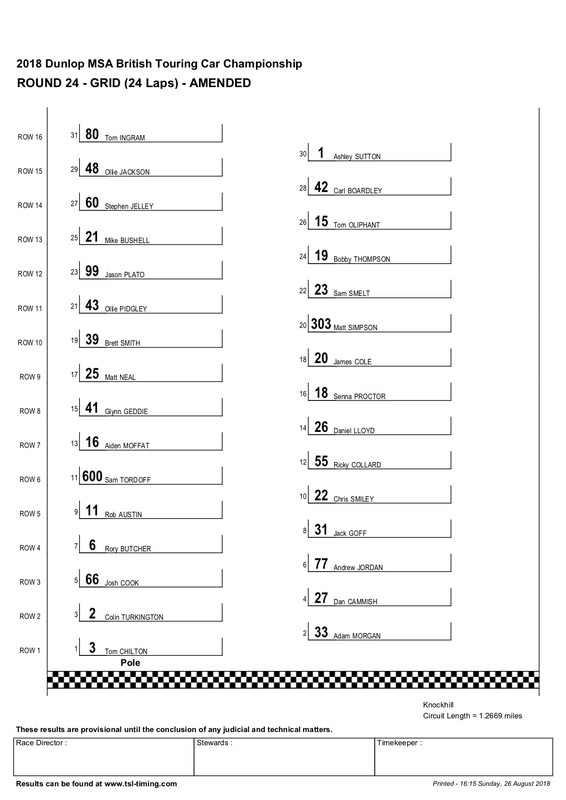 A new grid has been issued, with Team Shredded Wheat Racing with Gallagher’s Tom Chilton inheriting pole position with Mac Tools with Ciceley Motorsport’s Adam Morgan alongside him.